The family at Ken & Alida’s house. For some reason we decided to each line our feet up on the bricks, which were laid in a herringbone pattern. You can’t see the bricks well in this photo, so we just look incredibly awkward. 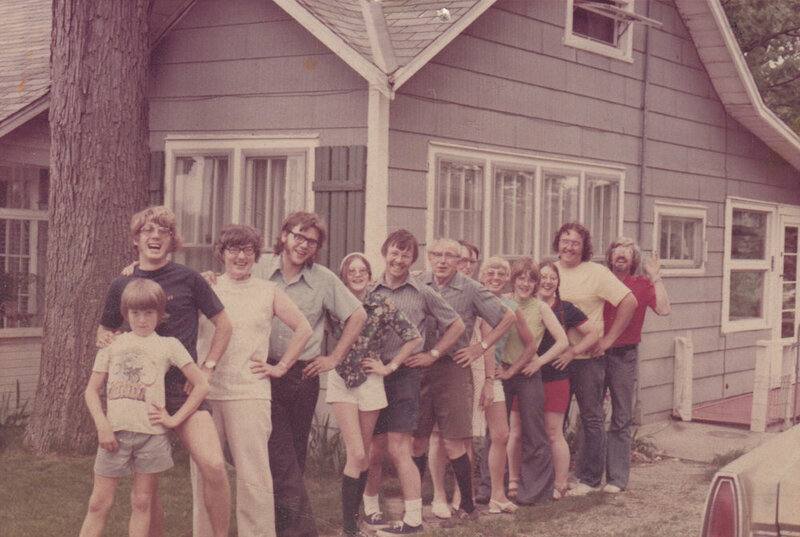 William Loring, Tom Lent, Jean Mehlenbacher, Russ Mehlenbacher, Elizabeth Loring, Tom Lent, Ken Loring, Alida Loring, Pat Lent, Jodi Lent, Kathy Mehlenbacher, Fred Shudra, Lloyd Loring. Steve Mehlenbacher must have been taking the photo.